New science, greater numbers of new drug approvals and modest profitability growth are a basis for optimism in the pharma industry. But pressure is growing to make therapeutics more affordable. To achieve and maintain success, new operating models are needed that better deliver patient, and economic, value. 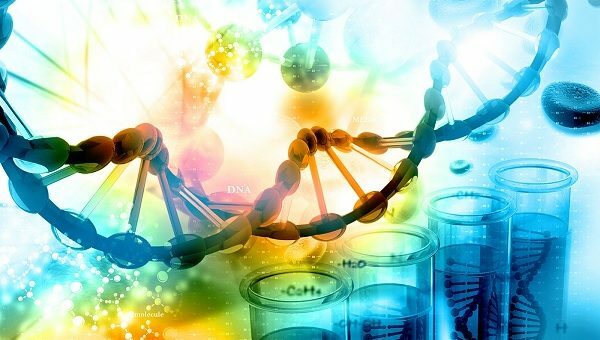 However, there is growing pressure to make therapeutics more affordable, and it is becoming increasingly difficult to get new ones more widely accepted in the market. Analysts are ascribing high sales growth forecasts to the wave of recent and upcoming NME launches, but developed pharmaceutical markets are anticipating only modest budgetary increases, creating an ‘affordability gap’ between the cost of new products coming on the market and the money available to pay for them. Savings from generics and biosimilars will help fund new products to a degree, but the industry is already seeing payers responding with more aggressive price negotiations and more selective reimbursement of new drug launches. Some NME approvals are now taking longer than had been anticipated to see post-launch ramp-up in sales. In light of these pressures, what is the best course of action? What are the high-performing pharma companies doing right? Top pharma companies excel at finding, and successfully developing, the best new science through external M&A and collaboration deals. Their portfolios are concentrated around a smaller number of products, with dominant positioning in their disease focus areas. They also lead in their deep understanding of underlying disease pathways and in identifying patient needs and incorporating solutions into their product offerings. They are tireless in the pursuit of excellence in their targeted areas and are prepared to self-disrupt to drive better outcomes for patients. New needs and expectations from patients and healthcare systems are being fuelled by socio-economic changes, coupled with scientific breakthroughs and technology disruptions. Pharma companies are adjusting their business models to the new market reality; some are restructuring their businesses to combine services with product to drive more value for the patient and the health system, some are building horizontal organisations across development, supply chain, medical and marketing to bring more tailored offerings to specific populations; others are focusing development, sales and marketing on specific patient populations in addition to the traditional key opinion leaders and healthcare providers. Most are experimenting with data and new technologies to enhance the patient experience and drive better outcomes for the system. The resulting changes are causing companies to operate differently to how they did in the past, to collaborate with new and non-traditional partners and embrace technology in new ways. High-performing pharma companies spend proportionally more on R&D and have fewer NME approvals than their peers. However, their new products are commercially much larger five years post launch. In addition, a higher proportion of them meet or exceed analysts’ sales growth expectations made at launch. High performers lead with smaller, more focused pipelines, a deep understanding of underlying disease pathways and identifying patient needs. They strive to drive the innovation agenda and pace in their disease areas and invest in substituting their own products with new innovations before others do. The most successful pharma companies master the art of ‘scientific marketing’ by directly linking their product’s ability to contribute to improved outcomes in targeted patient groups by leveraging data, devices and technology. This enables them to target better, provide flexible payment structures that improve market access and offer more services around the product to engage patients and their caregivers over the lifetime value of the treatment. In conclusion, sustained high performance in the sector will come from those companies that can drive operational change that can keep pace with innovation. The challenge ahead will be turning science into value by developing new operating models that can deliver on the commercial promise of new launches in a changing healthcare economy. Click here to view an infographic illustrating this research. FDA CDER Statistics, FDA Website January 2016. Global NME first Approvals, all biological and chemical drugs, vaccines and blood proteins. Scrip Intelligence, March 2016. 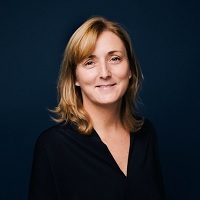 Anne O’Riordan is the senior managing director of Accenture’s Life Sciences industry group with responsibility for growing and developing the global life sciences practice. She has more than 24 years of experience in the industry and has lived and worked in each of Accenture’s operating units: North America, Europe and Asia Pacific.